The fuel dispensers TATSUNO of the series OCEAN Euro/AdBlue® serve for dispensing of the medium AdBlue® into road vehicles, especially heavy-duty trucks that run on diesel fuel, on retail and commercial outlets. 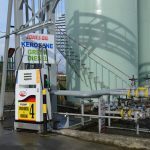 They are progressive single- or double-sided fuel dispensers with one to two hoses for dispensing from either one or both sides simultaneously. 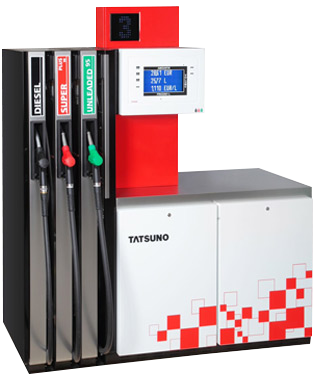 The fuel dispensers are equipped with a high-quality Japanese hydraulic system TATSUNO and with a reliable electronic calculator. All fuel dispensers of the series OCEAN are operated both in the manual mode (i.e. off-line), and in the automatic mode, where the fuel dispenser is linked with the kiosk control system and the data concerning volume, sum and price are transmitted to POS. 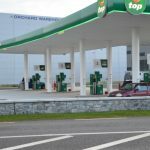 The fuel dispensers TATSUNO of series OCEAN Euro serve for dispensing of liquid oil products and other products into road vehicles on retail and commercial outlets. They are progressive single- or double-sided fuel dispensers with one to ten hoses (max. five hoses on each fuel dispenser side) for dispensing of an optional 1 to 5 products. The fuel dispensers are equipped with a high-quality Japan hydraulic system TATSUNO and with a reliable electronic calculator. All fuel dispensers of the series OCEAN are operated both in the manual mode (i.e. off-line), and in the automatic mode, where the fuel dispenser is linked with the kiosk control system and the data concerning volume, sum and price are transmitted to POS. 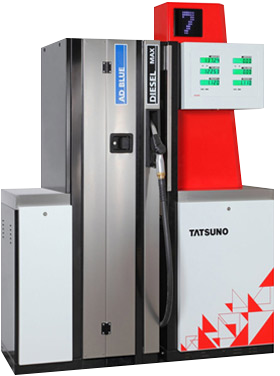 The fuel dispensers TATSUNO of series OCEAN Tall serve for dispensing of liquid oil products into road vehicles on retail and commercial outlets. They are progressive single- or double-sided fuel dispensers with one to tenhoses (max. five hoses on each fuel dispenser side) for dispensing of an optional 1 to 5 products. The fuel dispensers are equipped with a high-quality Japan hydraulic system TATSUNO and with a reliable electronic calculator. ultra high 130 L/min to 150 L/min. They are progressive single- or double-sided fuel dispensers with one to tenhoses (max. five hoses on each fuel dispenser side) for dispensing of an optional 1 to 5 products. The fuel dispensers are equipped with a high-quality Japan hydraulic system TATSUNO and with a reliable electronic calculator. 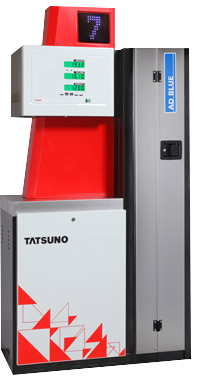 The fuel dispensers TATSUNO of series SUNNY-XE EURO serve for dispensing of liquid oil products into road vehicles on retail and commercial outlets. We are speaking about progressive one- or double-sided fuel dispensers with one to eight hoses (max. 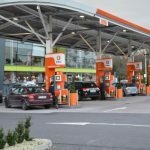 four hoses on each fuel dispenser side) for dispensing of optional 1 to 4 products. 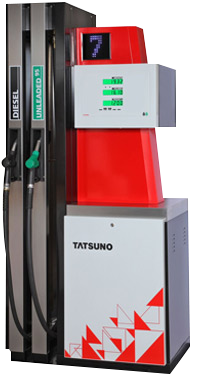 The fuel dispensers are equipped by the high-quality Japan hydraulic system TATSUNO and by the reliable electronic calculator. 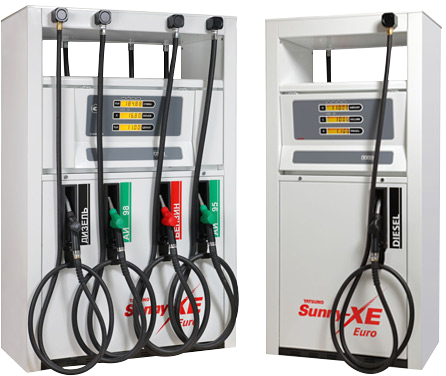 All fuel dispensers of the type series SUNNY-XE EURO are operated both in the manual mode (i.e. off-line), and in the automatic mode, where the fuel dispenser is linked with the kiosk control system and the data concerning volume, sum and price are transmitted to POS.